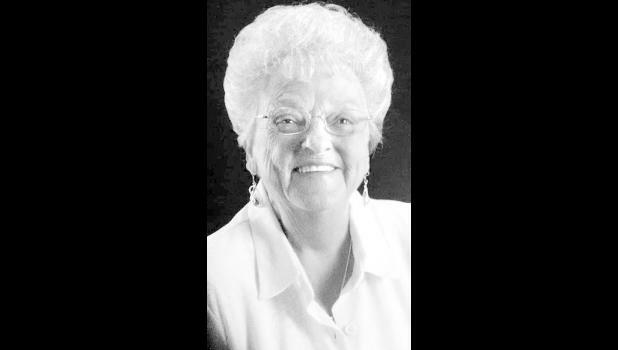 Donna R. Eby, 77, of Topeka, went to be with the Lord on Thursday, Nov. 22, 2018, at Stormont-Vail Hospital. Donna was born Oct. 10, 1941, in Topeka, the daughter of Charles and Eleanor Thompson Price. She married Larry Eby on July 12, 1963, in Mayetta. He survives. She was a member of the Holton Eagles and she enjoyed bowling her entire life. She was preceded in death by a grandson, Brayden Wyre-Miller, who died in infancy; a brother, Charles Price; and a sister, Edna Robertson. She is survived by Larry, her husband of more than 55 years; three daughters, Joyce (Dennis) Kroll, Glenda (Dirk) Tyler and Linda Eby (Tim); a brother, Jeff Price; four sisters, JoRita Stang, Bonnie Price, Cindy Price and Carla Price, all of Topeka; seven grandchildren; 10 great-grandchildren; and a great-great-granddaughter. Memorial services will be held at 2 p.m. Wednesday, Nov. 28 at Davidson Funeral Home. Visitation will follow the services for one hour.